MapleStory released back in 2003 and it has evolved over the years. The constant Updates took the game to further heights and now it offers loads of amazing environments, quests, Characters, Items and much more to discover. 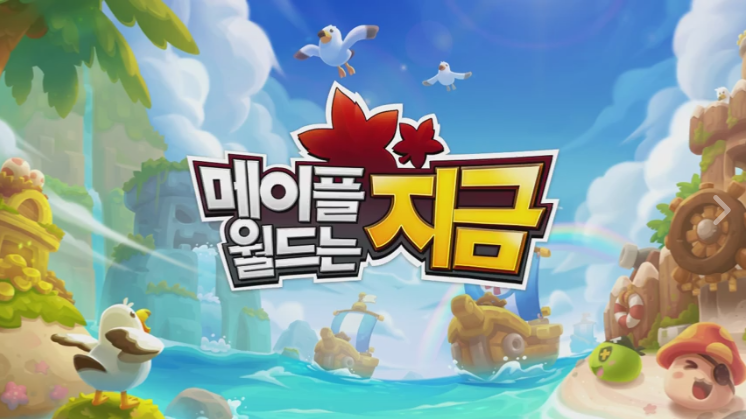 With a remarkably addictive and casual gameplay, MapleStory aims at a massive audience that can enjoy the game Free of Cost. With all the simple controls and 2D Side Scrolling fun, MapleStory allows you to create an online account. Later on, you can enjoy learning the gameplay via a brief tutorial. Once through the initial steps, you can go on some fun quests, complete various jobs, craft items, and engage in thrilling PvP battles. MapleStory takes the players to the fictional Maple World where the players must try to stop the resurrection of the evil Black Mage and stop his rise to power. In MapleStory, players get to create multiple characters which they get to control while travelling and solving quests in various worlds. These characters are world dependent and can only be accessed in their respective worlds. Each of these characters must be from one of five classes (Warrior, Bowmen, Magician, Thief and Pirate). After choosing and developing a particular class, the players can also choose from unlocked classes which can only accessed after the players have progressed to a certain level in the game. The world area in Maple World consists of three continents with each continent having its respective cities. MapleStory has an in-game store where the players can buy pets, cosmetics and other items for their characters using real money. Players can join or create guilds which further help in the development of the players’ characters. MapleStory is the best and worthwhile alternative you can try. As fun as killing monsters in MapleStory is, the game is very "grindy". Meso is hard to save up. That is why the best players buy MapleStory Mesos. When you buy Mesos, you save time. Time that you can use to enjoy the game more!